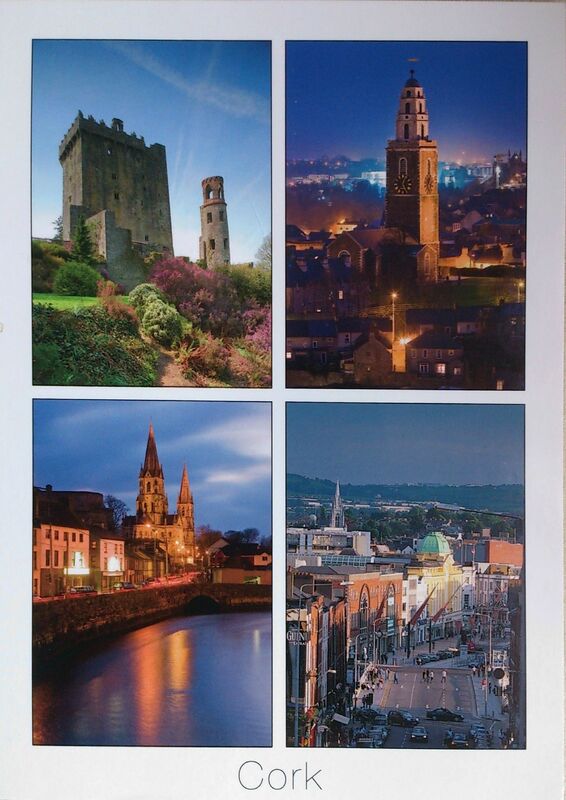 The postcard pictures: The Blarney Castle (up on the left), The Church of St Anne (up on the right), Saint Fin Barre’s Cathedral (down, on the left) and St. Patrick’s Street (down on the right). Blarney Castle is a medieval stronghold in Blarney, near Cork. The castle originally dates from before 1200, when a wooden structure was believed to have been built on the site. Around 1210 this was replaced by a stone fortification. It was destroyed in 1446, but subsequently rebuilt by Cormac Laidir MacCarthy, Lord of Muscry. At the top of the castle lies the Stone of Eloquence, better known as the Blarney Stone.According to legend, kissing the stone endows the kisser with the gift of the gab (great eloquence or skill at flattery). The stone was set into a tower of the castle in 1446. The kiss, however, is not casually achieved. To touch the stone with one’s lips, the participant must ascend to the castle’s peak, then lean over backwards on the parapet’s edge.Before the safeguards were installed, the kiss was performed with real risk to life and limb, as participants were grasped by the ankles and dangled bodily from the height. Malahide Castle lies, with over 260 acres (1.1 km2) of remaining estate parkland, close to the village of Malahide, 14 km north of Dublin in Ireland. 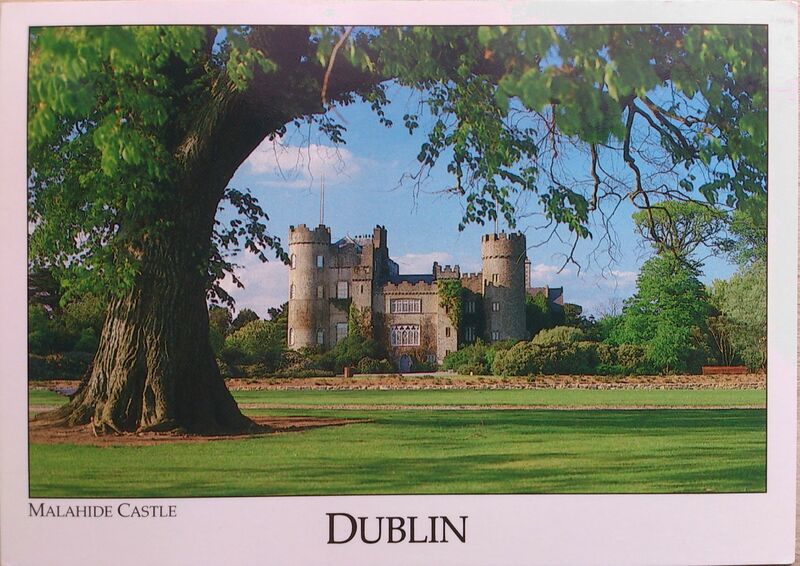 The estate began in 1185, when Richard Talbot, a knight who accompanied England’s King, Henry II to Ireland in 1174, was granted the “lands and harbour of Malahide”. The oldest parts of the castle date back to the 12th century and it was home to the Talbot family for 791 years.